Made this card for my manager who just promoted to ASEAN role as well for her coming birthday in early June 2014. Since I will be only seeing her next week, I combine both the congratulations and birthday wishes into one card. I adopt the sketch from Always Playing With Paper - The Challenge #7 as shown above. On a white card stock, the flowers are stamped according to sketch and colored using Copic markers. 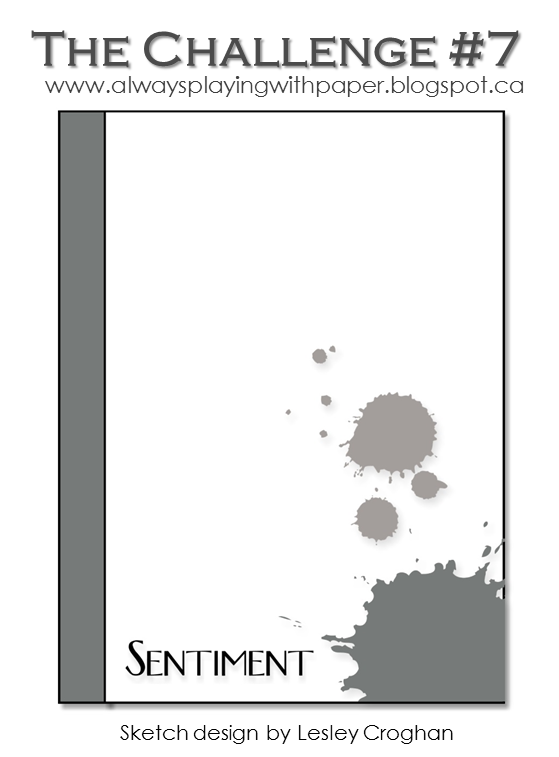 Later, the sentiment is stamped to the left bottom corner as in sketch. The gap of the letters are colored using Copic markers. The left edge of the white card stock is punched with starry scallop. It is attached onto an orange card base. 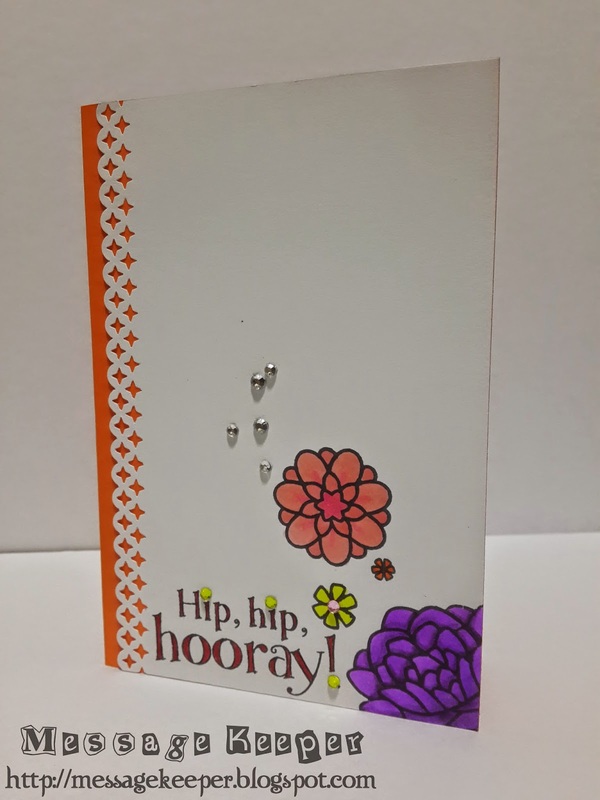 The card is finished with some gems on top of the flowers as in sketch, on the flower and sentiment. Hero Arts CL494 Hip Hip Hurray! This is a perfect card for both reasons! I'm sure they'll love it! So glad you joined us at CASology this week! LOVELY, I checked on this at THE CHALLENGE, and thought, girl, I hope you placed at CASology, ---pheeeew, you did, good!!!! Thanks for joining us! So glad you did!! Such a pretty card, I really like the scallop edging on the side...it makes a lovely design. Thank you for joining me at The Challenge. Lovely color scheme and such a fabulous design. Less is so many times more ...your CAS looks great! 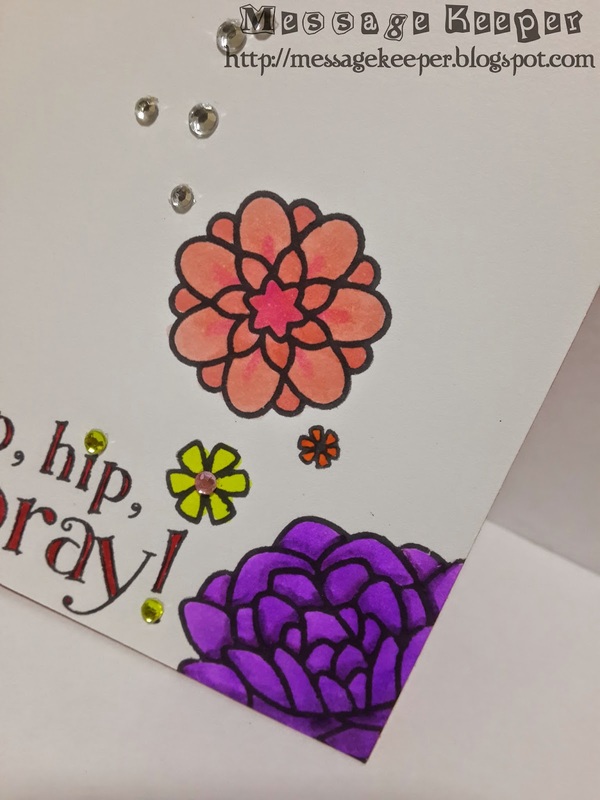 Thanks for joining our "May Flowers" -challenge at Charisma Cardz. I do like your take on the sketch - very pretty card! 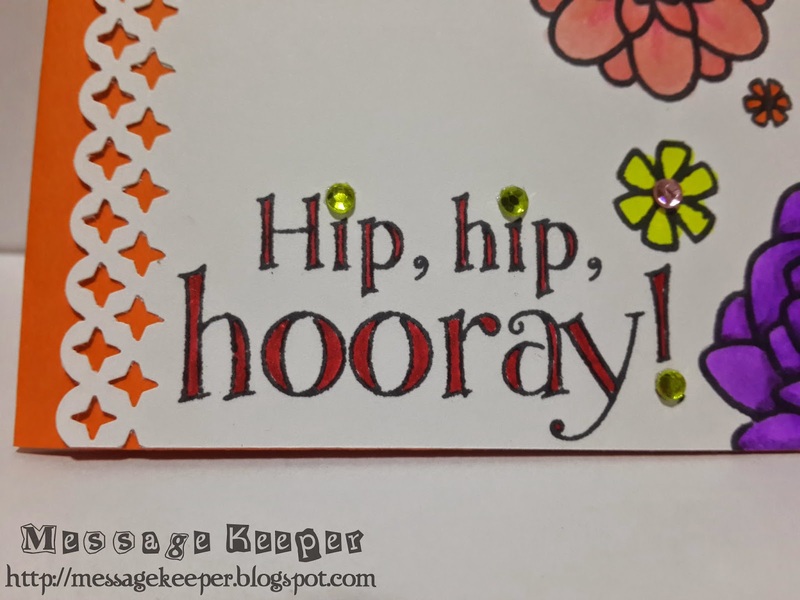 Thanks so much for playing along with Addicted to Stamps and More!